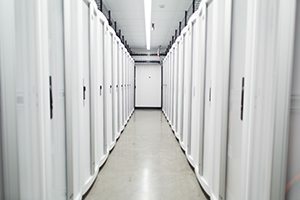 Colocation refers to the act of hosting your servers, storage, security systems, and other computing hardware in a data center location where it is managed and protected by IT professionals. This outsourcing service allows businesses to utilize top-notch hardware, software, and other equipment and services at a fraction of the cost. How Does Colocation Helps Businesses? Imagine having the ability to scale your computing hardware alongside the growth of your business without having the bulky overhead of buying new technology. There is no upkeep. No maintenance. Plus, you get the added benefit of hurricane hardened rackspace and around-the-clock security. 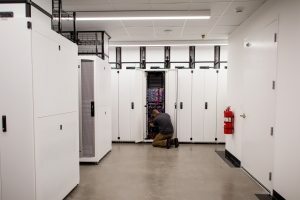 Welcome to the benefits of colocation. There is no downtime or wasted time when you outsource your hosting to a more advanced company. Instead of stretching you staff thin operating and maintaining your own servers, hardware, and software, you pass the responsibility so that your business can focus on doing whatever it does best. Have a major project coming up that requires a little more IT oomph? The flexibility of colocation services also allows for the freedom to adjust your service according to your needs. It’s advantages like these that have drawn businesses both large and small to switch to our services. Located in Southwest Florida, Skylink Data Centers has the only true Cat 5 hurricane hardened, PCI and HIPAA Compliant data center facility south of Tampa and West of Miami. Built for this century from the ground up, our data centers were made to handle the demands of an extensively digital world. We provide customized colocation space and services in a fully redundant N+1 environment that is without parallel in Southwest Florida. We can provide and support simple IP-KVM and IP-PDU solutions and can colocate equipment into anywhere, from a single U of rackspace all the way to full racks and rows. SkyLink Data Centers is more than just rackspace. We feature a dedicated IT Staff that is run by IT personnel for IT personnel. Certified IT Administrators and Engineers on staff deliver hands-on service that you can count on. Our expertise allows us to go above the typical and limited services provided by Telco personnel. We consistently provide true IT services unlike the other colocation providers in the area through our remote hands services.